Obama’s Thumbs Are No Longer Too Clumsy To Tweet. Posted on 23rd June 2011 at 10:17. 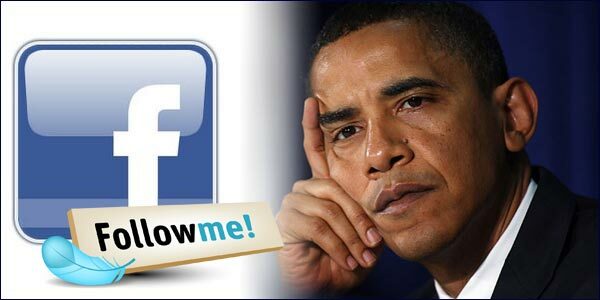 News reaches us from America this week that President Barack Obama is about to start tweeting ahead of the upcoming 2012 election. Hang on a minute, hasn’t he been tweeting since his account, @BarackObama was set up in 2007? If you are you one of the President’s 8.75 million followers who genuinely believed the leader of the free world was speaking to you directly, then you’re in for a disappointment. It wasn’t as if you weren’t warned: Obama told a group of Chinese students on a visit to Shanghai in 2010 that he never tweeted, as his thumbs were too big and clumsy. White House staff have been tweeting for him and updating his Facebook account too. It seems America is no different from the UK: here Whitehall officials send out letters apparently signed by the PM, and in the good old U.S. interns churn out the President’s daily 140 character updates. Well I never. So why is this big news? Well it’s not because it signals the start of the presidential election campaign: that’s been up and running for some time. It’s also not because Obama is planning to harness the power of the social media to rally his supporters. No he did that with great success in 2007. No, the real reason why this is significant is because Obama is set to buck the trend and actually communicate directly with his followers, and that’s in spite of the Anthony Weiner fiasco. Celebrities are quite happy to pour out their hearts and souls on Twitter and tell us all sorts of personal details that frankly we’d probably rather not know. There is a genuine honesty and a sort of skewed integrity to the ramblings of Charlie Sheen and the like, even if we feel they’re away with the fairies for much of the time. But politicians, well, they’ve always let their underlings do the dirty work for them. The reason for that is simple: it’s not so much about being snowed under with work, so much as when you give them their head what you tend to get is a Weinergate. No wonder the Whitehouse is tightening the reins on the politicians. So why does Obama feel he needs to add this personal touch to his social media campaign when the last one was so successful. It appears he probably feels he needs all the help he can get at the moment. In 2007 he was riding the crest of the wave as the new hope of the free world. Unfortunately wars, recession and unfortunate realities have somewhat tarnished the reputation of the golden boy. So he needs all hands at the pump if he’s to secure a second term. So prepare yourself for months of campaigning and tweeting. This is set to be an election played out in the social media, and the gloves will definitely be off on both sides. The only question that remains is who’s the next Anthony Weiner? Surely it couldn’t be the President, could it? Will A Page 1 Search Engine Listing Guarantee Increased Sales?Is Social Shopping About To Transform The High Street Look.